Queen Victoria came to the throne aged 18 and died in 1901 when she was 81. Buckingham Palace have calculated that she reigned for 23,226 days, 16 hours and 23 minutes – over 63 years. But Queen Elizabeth II, who became Queen aged 25 in 1952, is set to enter the history books when she overtakes Queen Victoria on 9th September this year. However, this is not the first record broken, Her Majesty is already in the record books after becoming the longest living Monarch and, according to the Guinness World Records, the Queen also holds the world record for the most currencies featured the same individual. 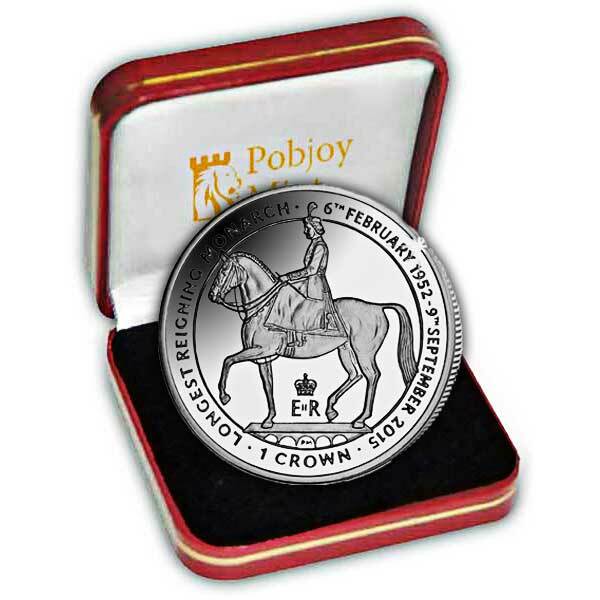 The coin itself features an image of Her Majesty on Horseback which is taken from Her Majesty’s original Great Seal of the Realm. The Great Seal is a seal that is used to symbolise the Sovereign’s approval of important state documents. Sealing wax is melted in a metal mould and impressed into a wax disc that is attached by cord or ribbon to documents that the Monarch wishes to make official. Each time a new Monarch accedes to the throne, a new Great Seal is produced and is only replaced for a particular Monarch if the silver plate wears out. 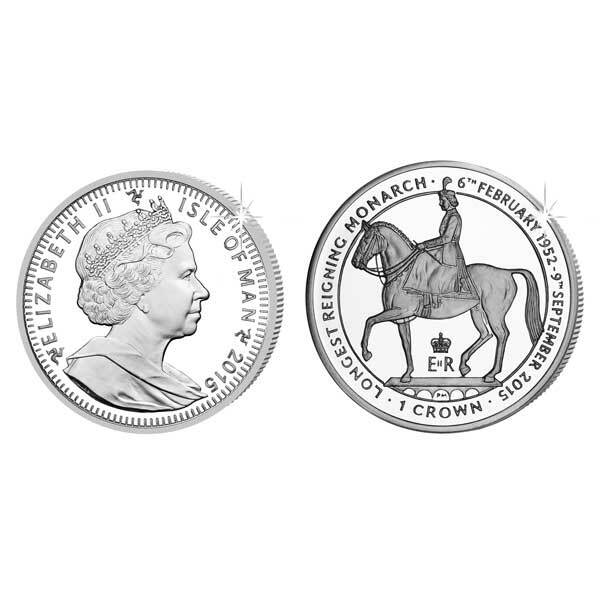 Available in Cupro Nickel, Proof Sterling Silver and 5oz Fine Silver, the obverse of the coin features an effigy of Her Majesty Queen Elizabeth II, Lord of Mann, by Ian Rank-Broadley FRBS. The coins are struck to the highest quality with the precious metal versions being produced with a stunning ‘proof’ finish. The design on each coin is in relief with a glorious mirror-finish background.